With another short day ahead of me, there was no rush to get on the road and so when Leslie mentioned a trip to the beach I jumped at the chance. I packed up the bike and we rolled over to meet her mum Liz and then walked to the ferry. 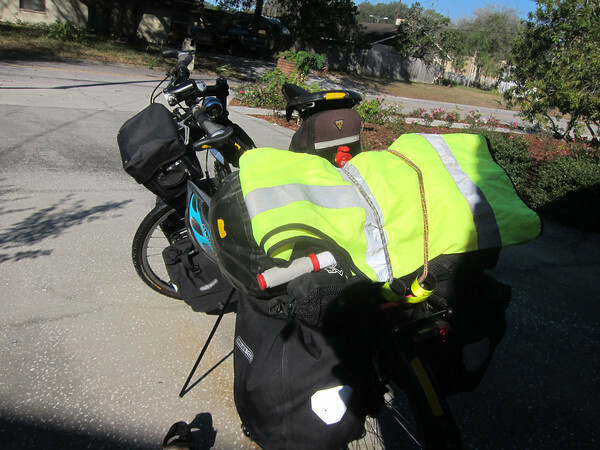 While Tom had to head to work early, Alice didn’t have to leave until around 10:30 and with Operation No Sweat meaning I only had about 40 miles ahead of me I was happy to leave then too. Alice was heading over to the island to study and was planning on riding over so we both headed out at the same time. She was riding over which made me happy. 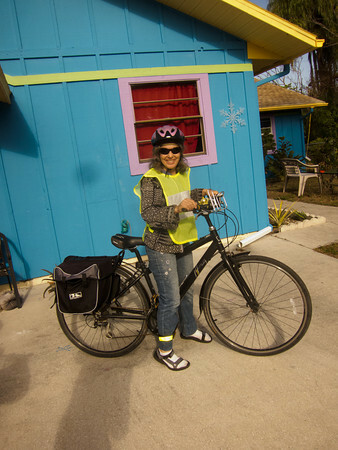 I’m always happy to hear of people commuting around by bike and Florida’s winter makes biking to places so accessible. It had been 3 weeks since I’d last ridden. 18 days in Orlando was followed by a couple in Tampa and it had flown by. Orlando had seen me re-unite with both Alix and teaching. 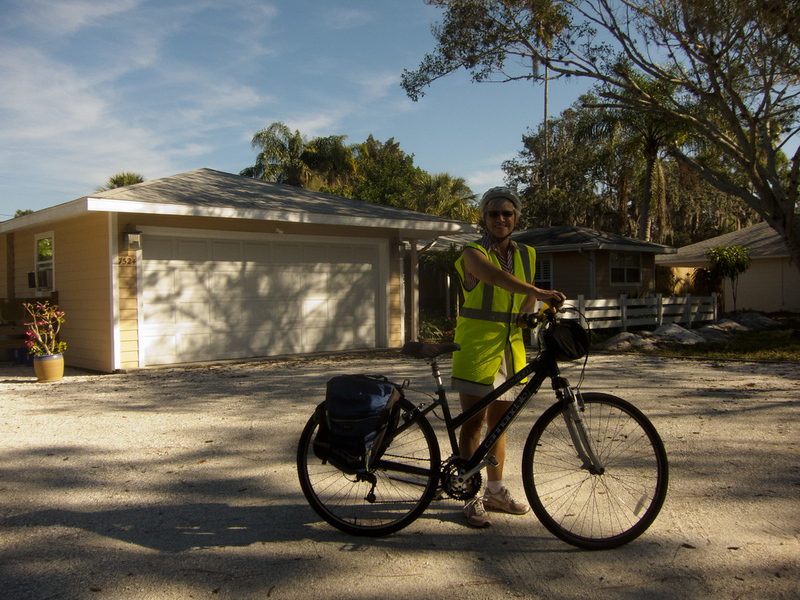 It’d been my longest break since I’d flown to the US back in April, and, while there was the temptation to stay longer, things aligned in such a way that I found myself back at Alix’s mum’s place in Tampa and working out where the road would take me next. As I mentioned when talking about my Keen Cabos, I have 3 pairs of footwear. 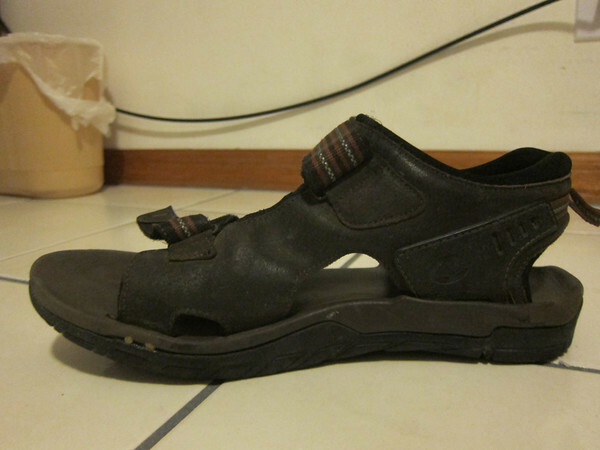 The second pair that I’ll write about it are my Shimano SH-SD66 sandals that have been on my feet every day I’ve cycled over the last 9 months.